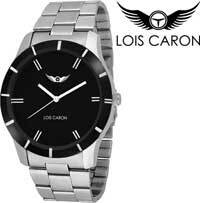 Flipkart is offering Lois Caron LCS-4027 analog watch for men at just Rs. 399 while the MRP is Rs. 1,199. Flipkart is giving 66% discount on Lois Caron analog watch. To get this deal price for this watch, please follow the below mentioned steps.